Virgin Vs. Recycled – What’s Your Vote? SO it’s a no-brainer that the selection of paper used in all your collateral materials and various other paper projects IS an important contributor to softening your environmental footprint on the world. BUT, do your clients care, and is it cost-effective? Will your commitment to going green help retain a majority of your clients and shareholders? Will this move help with prospecting future business? Probably. Through tactful self-promotion, this move creates the perfect opportunity to toot your company’s horn and let your clients know specifically, what you’re doing to better our world. How about your bottom line? Recycling paper waste is a good start – it’s low cost, everyone in the company can easily participate, and it’s a notable contribution. However, more can be done on the front end of paper selection before it hits the recycle bin. We know that we need to protect our environment. And for the most part, we all try to do our part. We recycle our paper, cardboard, and plastic. We use refills for our ink cartridges for our desktop printers. We have paper recycling bins at the office right next to our desk right? But for designers is this enough or do it mean keeping the environment in mind when planning projects and choosing a printer. Use the following 6+ guidelines when looking at printing your next project “green“. Become familiar with the industry jargon regarding printing green commercially. Low VOC Ink: Many printers now utilize low VOC inks for printing. Soy inks and vegetable inks are naturally low in VOC’s and are produced from sustainable sources. FSC and SFI Certifications: The purpose of the certification is to ensure that the usage of trees removed from the forest is being utilized in a sustainable manner that is also respectful to the indigenous peoples of the forests. Carbon Neutral Certification: This certification involves purchasing Renewable Energy Credits, or offsets, in proportion with the amount of energy consumed during day to day operations. Post-consumer waste: Paper material that has been recovered for recycling from waste generated by consumers once it has served its intended end use. Processed Chlorine Free (PCF) and Totally Chlorine Free (TCF): In today’s market, PCF paper is preferable as it contains recycled fibre, while TCF is only used to refer to 100% virgin paper. Enhanced ECF with ozone or hydrogen peroxide: Uses ozone or hydrogen peroxide as a brightening agent in the initial stages of bleaching. (Final or near final stage still uses chlorine dioxide. Elemental Chlorine: Uses elemental chlorine to bleach pulp. In the US, elemental chlorine was phased by April 2001 as per EPA’s Cluster Rule. Elemental Chlorine Free (“traditional ECF”): Uses chlorine dioxide rather than elemental chlorine. The Recycled Products Cooperative estimates that over 100 million trees are cut each year to supply fiber for writing and printing papers in the United States. This is not only detrimental to forests, but to air quality and water reserves as well. Ask yourself, can the job be printed on paper containing a high percentage of post-consumer recycled fiber? Specify paper with at least 50 percent post-consumer content. Do you know how your printer disposes of unused ink? If you’re unsure, ask. Petroleum-based inks leach VOCs—which cause cancer and birth defects—into the soil when printed papers end up in landfills. These toxins can also be released into the air as fresh inks dry. Avoid inks containing heavy metals like lead, cadmium, and mercury, which are commonly used to produce some bright colors. Soy ink is an excellent alternative to petroleum based inks. Soy ink uses soybean oil that’s naturally low in VOCs. In most jobs, soy- or vegetable-based inks work just fine. In fact 90 percent of daily newspapers use them routinely for color printing. Digital printing utilizes plate-free technology to produce pleasing-color prints. 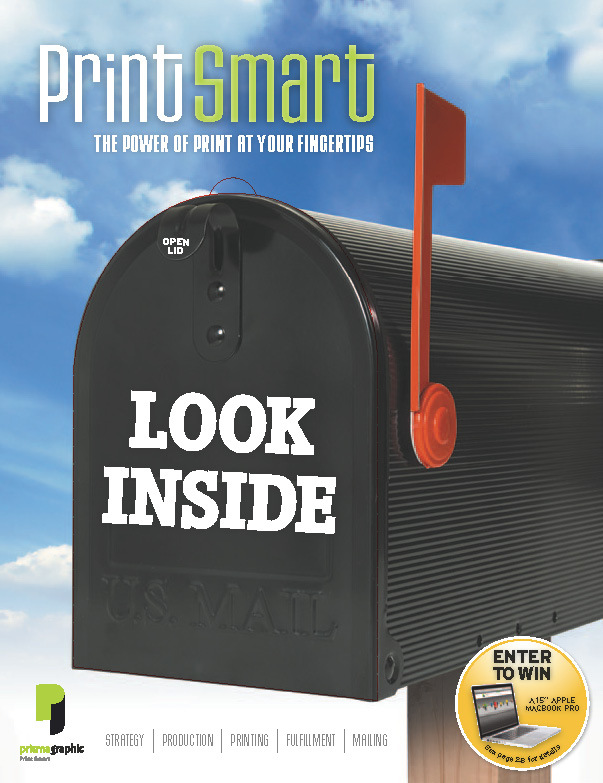 The result is an inexpensive print that is faster and creates less waste. The ink doesn’t absorb into the paper of a digital press, instead sitting on top of the substrate, forming a layer on the surface. Recycled paper saves trees, reduces use of toxic chemicals, uses less energy and produces fewer emissions than virgin paper. According to The Environmental Paper Network, each ton of 100 percent post-consumer recycled fiber that displaces a ton of virgin fiber saves 12 to 24 trees and provides a wood fiber savings of up to 310 percent. In order to meet Environmental Protection Agency rules, most paper is now “elemental chlorine free” (ECF), which means it is made from chlorine derivatives, such as chlorine dioxide. Standard sizes are standard for a reason; they make the best use of the paper on the press. A 6-by-6 inch booklet may please a designer’s eye, but it wastes a lot of paper and raises the cost of the project. Approach color creatively. Can you make a two-color design be as elegant and effective as full color?